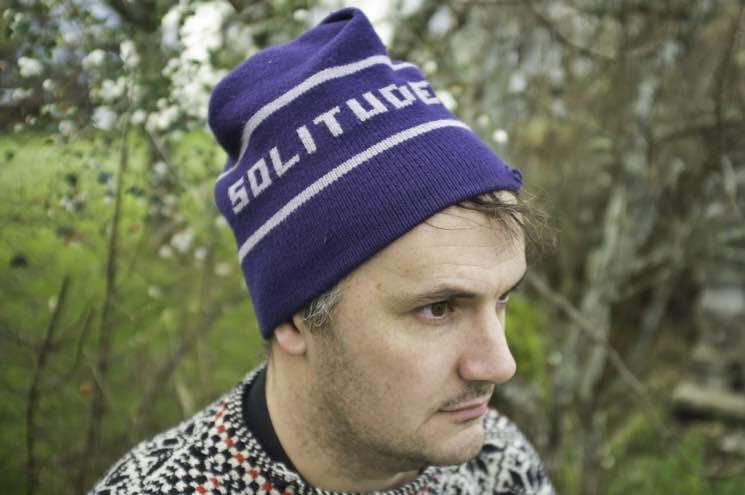 Phil Elverum is a DIY wunderkind who's made beguiling lo-fi recordings since the late '90s. But when fame came calling after the success of 2001's The Glow Pt. 2 (as the Microphones), Elverum turned away, retreating to his hometown of Anacortes, WA, and following his own path. That path has recently been dominated by the illness and death of his wife, Geneviève Castrée, in 2016; he's dedicated three Mount Eerie albums to chronicling their lives and honouring her memory: 2017's A Crow Looked at Me and this year's Now Only and live album (After). In this month's Exclaim! Timeline, we explore the long and prolific history of Elverum, and to give you can idea what's in store, here are some facts you may not already know about the songwriter. 5. Elverum was "mentored" by Beat Happening's Bret Lunsford. Elverum and his friends follow the "clues" from Nirvana to Sub Pop Records, to K Records and finally Beat Happening. Eventually they realized that Beat Happening member Bret Lunsford not only lives in their town, but runs the local record store, the Business. After hanging around the store being "celebrity-struck" Elverum is offered a job by Lunsford, who eventually becomes something of a mentor to the teenager. 4. Elverum once asked K Records owner and Beat Happening singer Calvin Johnson if he could be his apprentice. Elverum calls K head and Beat Happening singer Calvin Johnson who also runs the Olympia, WA recording studio Dub Narcotic. As Elverum explains, "I asked him, 'I don't know what I want to do with my life, but I love recording and I was wondering if I could be your apprentice at Dub Narcotic Recording Studios.' He was like, 'Uhhhhh...' I recognize now how strange of a question that would be — it was just a ragtag operation." 3. He spent a winter alone living in a Norwegian cabin. Elverum spends the winter in a remote Norwegian cabin. He has little contact with anyone else. "Having that much time alone with yourself was basically a meditation retreat that was unaffected by anyone else," he tells Vice in 2013. 2. Elverum has managed to maintain his friendship with Johnson, despite K Records' financial troubles. K Records is deep in debt, owing thousands of dollars to artists like Elverum, Kimya Dawson and many others. "Yes, it's true that [K owes] me a bunch of money and that communication about this over the years has been pretty difficult. But lately there have been some real efforts to fix it and pay the back payments," he tells The Stranger. Reclaiming his back catalogue from the label enabled him to stop the debt from increasing. Nevertheless, Johnson puts the label's headquarters in Olympia up for sale in an effort to square his debts. "They were always doing pretty badly, but covering it up and staying afloat and keeping putting out weird stuff," says Elverum of K. "I'm still friends with him. I like him a lot. And I recognize that the money stuff aside, the doors that he opened for me personally and for other people are pretty significant. 1. Surprisingly, for an artists who has been so prolific for so long, Elverum currently has no projects planned for the immediate future. With (After) capping off a particularly tumultuous period of his life, he's unsure of his next move. "I've got this new life and family shape. There's just so much that I have to let settle down," he says. "I need some time to write songs and work on my thing, but I'm just living my life and doing family stuff and letting inspiration come when it comes. But I also don't feel a desperate need to keep pushing myself into people's faces to stay cool and relevant. I'm artistically satisfied and happy."